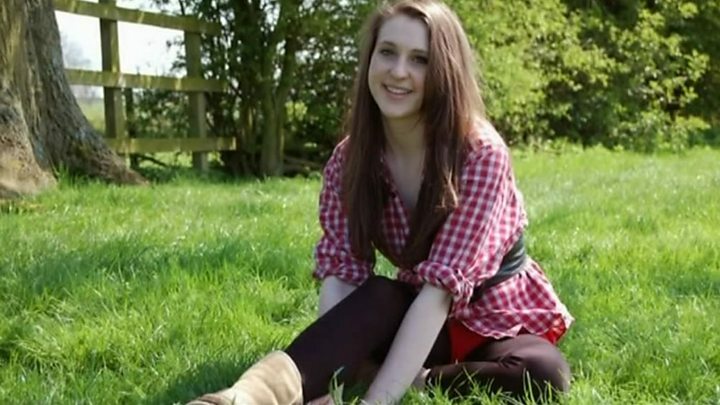 Police officers failed to properly investigate complaints a young woman made against her former boyfriend in the days before he brutally murdered her, the police watchdog has found. Alice Ruggles' throat was cut by Trimaan Dhillon after he broke into her Gateshead flat in October 2016. The Independent Office for Police Conduct (IOPC) said two officers had cases of misconduct to answer while another performed unsatisfactorily. Dhillon, who was a serving soldier, was jailed for a minimum of 22 years after being convicted of murder in April last year, aged 26. He bombarded Miss Ruggles, 24, originally from Leicestershire, with text messages and phone calls, made unwelcome visits to her home, gave her unwanted gifts and threatened to kill himself, Newcastle Crown Court had heard. After an internal review identified potential misconduct by officers, the force referred the matter to the IOPC. It found the force treated the matter as harassment rather than the more serious offence of stalking. The report said details Miss Ruggles gave on 1 October about Dhillon knocking at her door and a text message confirming he had been outside her home were not recorded by the call-handler, who has since left the force. In the days that followed, Dhillon was issued with a police information notice (PIN) for harassment to warn him that he could be arrested if he contacted Miss Ruggles again. However, an officer arranged for a major at Dhillon's barracks in Scotland to issue the PIN - against national guidance for it to be done by a police officer in person, unless in exceptional circumstances. After contacting police again on 7 October having received a letter and photographs in the post, Miss Ruggles was asked if she wanted her former partner arrested - a question the IOPC said victims should not be asked, as guidance states the decision to arrest lies with an officer. Five days after declining the offer of having her ex arrested, Miss Ruggles' was found dead by her flatmate. Northumbria Police said "lessons have been learned" and it had implemented an improvement plan. A sergeant and PC "have received words of advice and completed enhanced training", it added, while a "performance meeting has been held with a further PC". The Home Office only started collating police force stalking statistics in 2014-15 after it became a standalone offence two years previously. Before then it was treated as harassment. Since then forces have steadily been recording more and more stalking crimes. In 2014-15 there were 2,882 recorded offences in England and Wales. That jumped to 4,164 a year later, 5,313 the year after that, and then nearly doubled to 10,214 last year. But there were only 1,822 charges for stalking in 2017-18, illustrating the difficulty of prosecuting these types of crimes. Miss Ruggles' mother, Dr Sue Hills, said "every single indicator was there" to suggest Dhillon should have been arrested and prosecuted for stalking. Image caption Dr Sue Hills said her daughter "may still be alive if things had happened differently"
She added: "I am disappointed the police didn't deal with it as stalking because it so clearly was when we look back to it. "The police should've known because it's their job to know. "A lot of forces are changing the way they deal with stalking. I think that's a really big change that could be helpful."